The Angry Birds Movie Review – Eggplante! Hollywood truly will make movies out of anything these days, so why not a smartphone game? Seeing as this is the year that video game-inspired movies make their biggest push yet to finally be recognized as viable adaptation options to mainstream moviegoers, it seems fitting that a mobile game would also throw its hat in the ring, and, let’s face it, the first effort to translate a mobile game into a movie is, unsurprisingly, The Angry Birds Movie. Over the past several years, Angry Birds has been obnoxiously, hilariously over-exposed, to the point where its developer, Rovio Entertainment was licensing the game’s brand to pretty much anything conceivable. It was haphazard and reckless, to say the least, and sure enough, a couple of years later, most of the public is completely sick of Angry Birds, and Rovio has suffered the consequences, now having suffered enormous layoffs as a result of their commercial gluttony and overall arrogance with the IP. That, however is a topic for another time… Even if it does bring up the widespread feeling that The Angry Birds Movie is rather late to the party, and is showing up long after the Angry Birds fad has lost its steam. That said however, is The Angry Birds Movie bad? Not really. It’s an acceptable diversion that will entertain kids, and adults will get at least a couple of chuckles out of it, should they be so inclined. The movie ultimately falls just a tad shy of the already middling Ratchet & Clank movie however, and there’s no denying that its target audience, more than anyone, is children. 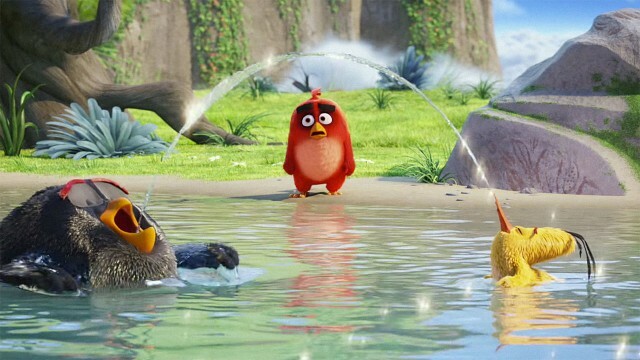 Considering that The Angry Birds Movie is up against two highly superior adult-skewing comedies, Neighbors 2: Sorority Rising and The Nice Guys this weekend, anyone that is no longer a child already has two much better options, leaving The Angry Birds Movie as a pretty disposable offering that is not offensive, but will definitely be quickly forgotten. 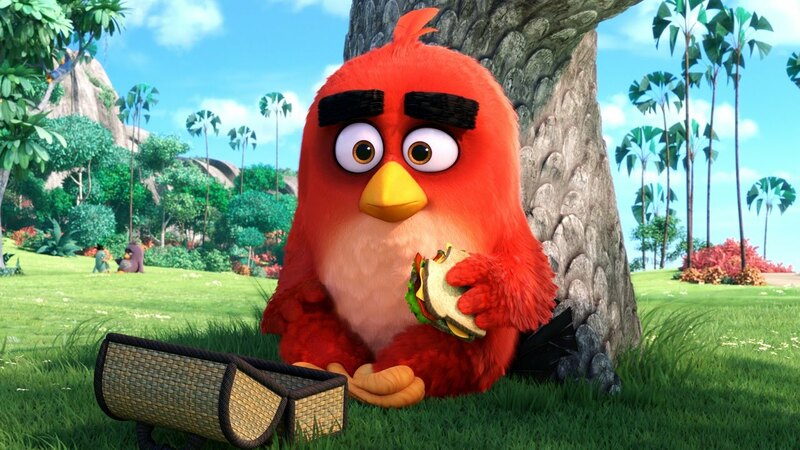 The Angry Birds Movie stars Red, voiced by Jason Sudeikis, who is very ill-tempered and cynical by nature. Orphaned and derided by his peers, Red has since retreated to the edge of society, with society in this case being an island of flightless birds that largely live in piece, beyond Red’s bad temper, anyway. Early in the movie however, Red is sentenced to anger management therapy after a career-related mishap, where he meets the rest of the supporting cast, and this comes just in time for the pigs, the villains of the mobile game, to arrive on the island. Sudeikis is one of the movie’s more enjoyable presences, giving some charm to Red, despite his unlikable exterior. Sudeikis’ Red is also a little more down-to-earth and relatable than many of the supporting characters, which impatient parents will probably appreciate, since Red seems to echo the tastes of most adult audiences, in that he’s visibly annoyed by the movie’s rather extensive array of annoying characters. While some of these annoying characters can be funny at times, it is also true that sometimes, they’re just plain annoying, and it’s this kind of obnoxious, ADD-skewing humour that makes The Angry Birds Movie feel like it’s trying too hard to get cheap laughs out of easily-amused kids, with the parents’ amusement being damned in the process. Highest among these annoying characters is Chuck, a speedy, irritating yellow bird voiced by Josh Gad, whose whole schtick is that he’s really annoying. Again, sometimes it’s funny, sometimes it’s just genuinely annoying. The other principal supporting character is Bomb, voiced by Danny McBride, who seems relatively good-natured, though whenever he’s stressed or upset, he has a tendency to quite literally blow up. Bomb is the only bird on the island that has this weird quirk, but I suppose that this is a kids’ movie, so sometimes, things are just going to be goofy for their own sake. 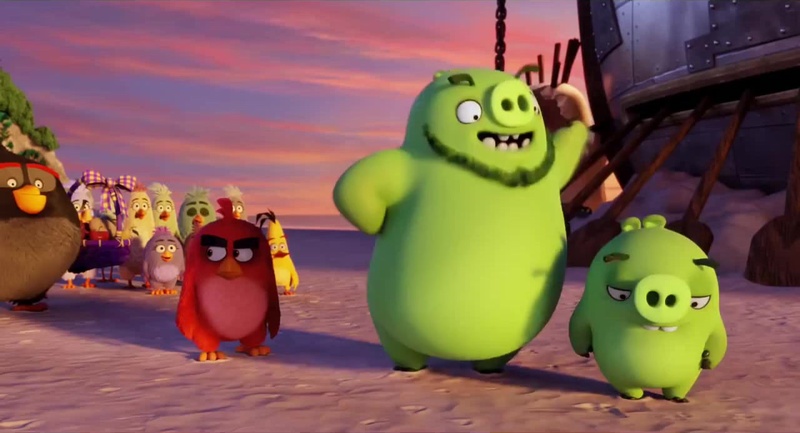 Besides, Bomb is a character from the Angry Birds games, so I guess they had to work him into the movie somehow. At least, like Red, he’s one of the movie’s better characters. Another of the movie’s better characters is Leonard, the ambassador for the pigs and the movie’s lead antagonist, who shares an array of increasingly outlandish distractions with the birds, and if you’ve played the mobile game, you’ll know what Leonard’s plan is even before he puts it into action. Still, Bill Hader manages to elevate the material with Leonard, and his villain is actually pretty crafty and fun for a kids’ movie especially. It’s surprisingly believable that the birds would be suckered in by Leonard’s charisma, even as the sugar high-riddled gags sometimes threaten to undo the honest wit behind Hader’s performance. There are one or two other better characters that I can’t really discuss to avoid spoilers, but I will say that most of the rest of the cast are just cameos from the games. There is some effort put into giving the birds a diverse array of personalities, which go in hand with their abilities and use in the Angry Birds mobile games, but most of them just bleed into each other, and become a mess of winks and throwaway gags. You see a bit more of Matilda, voiced by Maya Rudolph, who runs the anger management group with Red, Bomb, and Chuck, though even Rudolph doesn’t feel like she has many memorable jokes, leading to the movie’s surprisingly excellent cast feeling largely wasted. Surprisingly, the movie’s funniest small part is Sean Penn, who voices Terence, a massive, imposing bird that only communicates in growls and grunts. It might seem like a waste of Sean Penn at first, but even with no spoken lines, Penn manages to make Terence one of the movie’s funniest personalities, and that’s a real feat! For the most part though, the characters have a handful of highlight personalities, and the rest just become white noise when you try to recall the movie. The Angry Birds Movie’s cast has no shortage of energy, sometimes too much energy in fact, but that doesn’t translate to the characters being memorable or endearing. Red manages to be enough of an accidental hero to be worth rooting for at least, but the lack of depth throughout the movie’s personalities is still a bit disappointing. Still, I suppose that only so much can be done with adapting a fairly one-note mobile game. If you’ve seen even one trailer, and you’ve played the mobile game, then you probably already know the entire plot progression of The Angry Birds Movie. In the mobile game, players fling a series of birds at some structures that house the villainous pigs, in an effort to reclaim their eggs. Yes, the movie does include the same premise as the game towards the end too, with the climax basically being a CG film representation of how one plays the game. In fairness, there is enough decent fun in the movie’s story to make it watchable for adult viewers, though kids will probably get more of a kick out of it. Still, it’s very obvious that the movie’s lone writer is straining to try and stretch the premise of the mobile game into an acceptable feature-length runtime. Despite the haywire gags, there’s still so much of The Angry Birds Movie’s plot that simply feels like it’s only there to waste time. Several gags and scenes are very drawn-out, and noticeably overstay their welcome, which further hurts the already middling humour in the movie. It’s very apparent that the movie is trying to drag its feet because it only has so many ideas to work with, which makes its fairly speedy 97-minute runtime sometimes feel longer than it actually is. Even if there’s a lot of padding though, the better gags and sequences are spaced out well enough to prevent The Angry Birds Movie from ever becoming truly boring. It’s not a stretch to accuse the movie of being shallow though, since its plot is very thin and scattered, as if the movie started recording and rendering on half of a script, then filled in the rest as it went along. 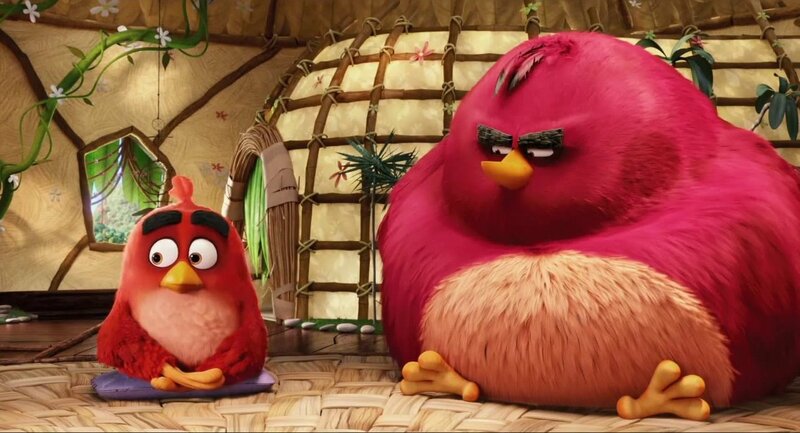 Most kids probably won’t notice the storytelling shortcomings, but if you’re an adult that’s seen even a handful of modern animated movies, then you’ll have definitely seen far better stories than the one on offer in The Angry Birds Movie. The Angry Birds Movie is helmed by two first-time directors, Clay Kaytis, a former animator for Disney, and Fergal Reilly, a frequent artist for various Sony Pictures blockbusters. For their first directing effort, The Angry Birds Movie is passable, though as I mentioned, there’s quite a few issues with the progression and overall pace of the movie. Like I said, it feels like The Angry Birds Movie is unfolding on a constant sugar-high, which creates this incessantly wired, frenetic pacing that tries to substitute a lack of strong jokes with a bunch of obnoxious animation and voiceovers. There are quite a few kids that will probably eat this up, but many adults will grow annoyed with it very quickly, since it feels like the movie is trying too hard to gasp for laughs. Going along with this is the fact that many of the actors constantly seem to be being told to shout their lines with overblown emotion, even when it doesn’t make sense for them to do so. Almost every character in this movie, beyond some exceptions like Red, Terence and Bomb, feels annoyingly hyperactive, and most of the cast feels like they’re over-acting as a result, even for an animated movie. It really feels like The Angry Birds Movie was intentionally directed that way to try and mask the fact that most of the characters in this movie are very shallow, and honestly, it doesn’t really work, or at least it won’t to most adults. On the bright side, the movie does attempt some semblance of a theme, and that means that it aims higher than you may expect. Despite its handful of efforts to convey a positive message to kids about the proper necessity and use of anger however, the movie still feels too much like a focus-tested, cynical product when it really shouldn’t. It’s not a bad product, but it does feel like a product more so than a truly inspired movie, a product that is going hard for the adoration of kids, since it’s immediately lost faith in adults getting behind it. The Angry Birds Movie’s score is composed by Heitor Pereira, a frequent kids’ movie composer, and that equates to the kind of score that you would probably expect from a movie like this. Most of the original compositions are fluffy and pretty forgettable, and the rest is a bunch of surprisingly aged licensed music that is sometimes altered to go along with the pun-heavy humour. Oh yeah, about half of the jokes in The Angry Birds Movie, both subtle and direct, are puns, so hopefully you really like puns, because there’s a lot of them! The rest of the audio work is also pretty standard fare for a kids’ movie. Even the slapstick is pretty tame-sounding, so it’s very unlikely that the movie will frighten children, especially since it seems to be trying so hard to appeal to them over anyone else. There’s a lot of simple cartoon sound effects left to sustain proceedings, and it all feels kind of phoned in. It’s good enough, but it definitely won’t stick with you, especially since much of the soundtrack already feels kind of dated. If there’s one thing that The Angry Birds Movie does pull off very well, it’s the animation, which, I must admit, is very good! As much as some of the hyperactivity behind the animation can get annoying, the animation itself is still frequently stunning, and that no doubt comes from the fact that the movie’s directors are both talented artists. 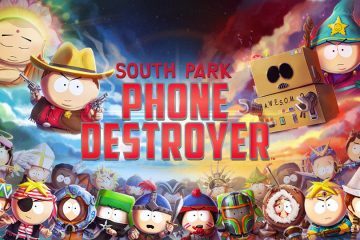 There’s a lot of life and personality to the movie’s world, which really does bring the mobile game to the big screen in a very neat way. Likewise, the character designs are diverse and instantly memorable, with the definition behind the birds’ feathers feeling particularly awesome. Even subtle effects like vibrations and twitches are realized perfectly, and a great testament to the outstanding work done by Sony’s animation department. 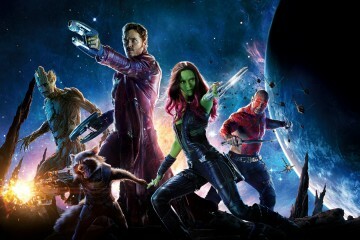 As for the 3D presentation, it’s alright, but it’s not nearly as essential as it can be in a lot of animated movies. There’s a few decent efforts to make use of the 3D effect, such as shining sunbeams, along with some dust and feathers being kicked at the audience, but the 3D is put to far less use than Dreamworks Animation, Disney, Blue Sky Studios and Illumination Entertainment often pulls off. If you and/or your children particularly like 3D movies, then you might as well pay for a 3D ticket for that handful of neat 3D effects, though if you could care less about seeing The Angry Birds Movie in 3D, then you don’t lose much by just watching the movie flat in 2D. 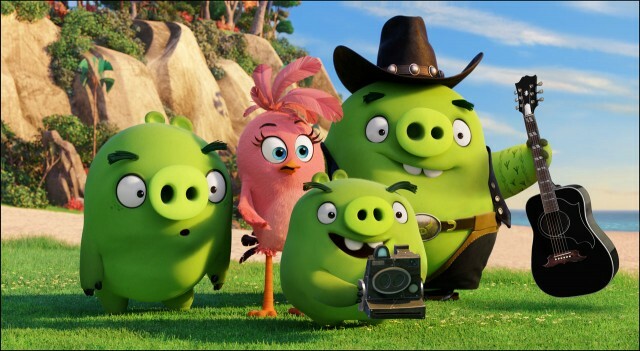 The outstanding animaton salvages the movie a little bit more than its handful of bright spots in the cast and humour, making The Angry Birds Movie a genuine treat for the eyes, even at its worst. Whether in 2D or 3D, it’s easy to appreciate the fact that this is probably Sony’s most gorgeous animated movie to date, and kids especially will definitely love the feeling of vibrancy and life that’s all throughout the movie’s CG world. 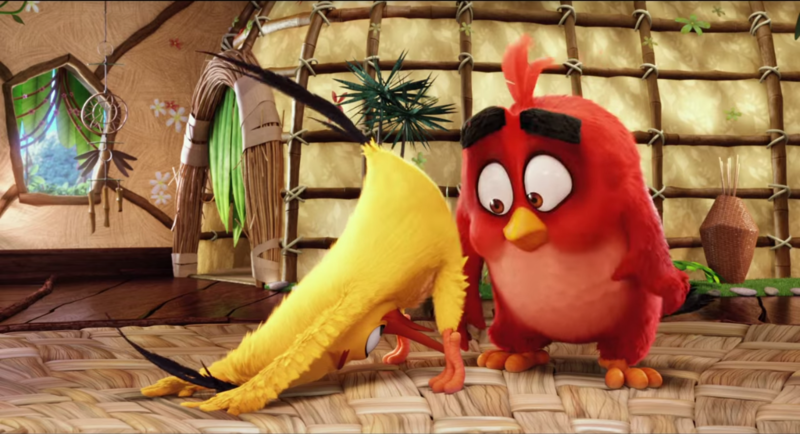 It’s easy to be cynical about The Angry Birds Movie, especially since the whole Angry Birds fad is largely dead at this point, but as much as some may assume that this movie is dead-on-arrival, it’s really not. It’s still nothing special, but The Angry Birds Movie is surprisingly watchable for adults, and won’t strain to entertain kids, especially considering how beautiful it looks. If you aren’t already interested in a big screen representation of Angry Birds, then The Angry Birds Movie doesn’t manage to stack up to most of the competition, admittedly. 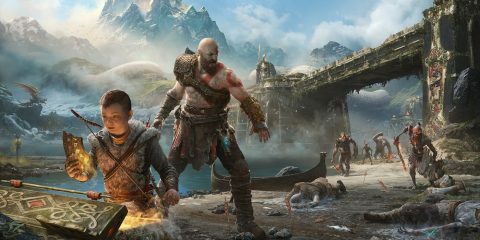 Being a movie based off of a mobile game, you can imagine that the movie doesn’t have much more depth, and basically functions as a feature-length distraction that at least carries enough of the charm from the mobile game, but doesn’t really elevate the experience beyond that same one-note amusement. There’s not much to fondly recall from The Angry Birds Movie, beyond its animation, and it’s doubtful that you’ll remember much of it after leaving the theatre, but as shallow and annoying as it can sometimes be, it’s also harmless. If you’re looking for some easy family-friendly amusement, then The Angry Birds Movie will provide the necessary, accessible entertainment that you want. 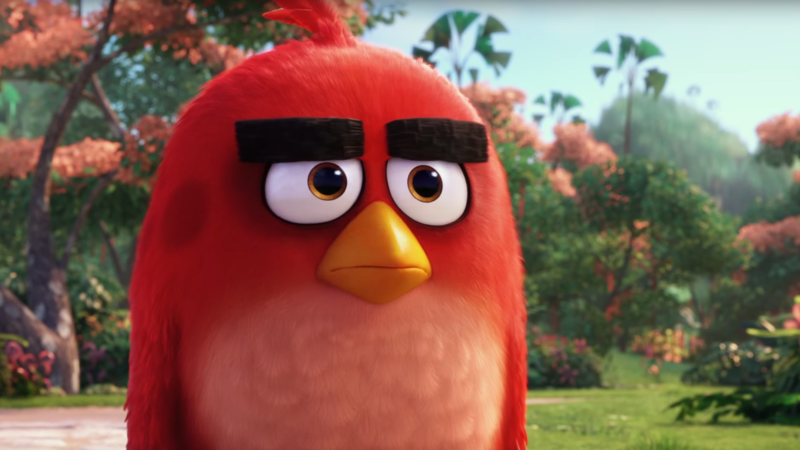 By the time movies like Finding Dory, and even The Secret Life of Pets have hit theatres however, The Angry Birds Movie will probably have fallen out of the public eye. It doesn’t manage to salvage what’s largely a very hurting franchise now, but at least it doesn’t do more damage either. The Angry Birds Movie is surprisingly gorgeous, and has a few standout moments of fun, but most of it is very disposable and shallow, and doesn't convey much more depth than the mobile game that inspired it.